CRA-W Distinguished Lecture Series was proud to support the upcoming INWIC by providing Leah Buechley as the Keynote speaker. The Indiana Celebration of Women in Computing (InWIC) conference is an ACM Celebrations Event that provides a low cost, regionally-tailored, small conference for women in computing. The 2017 conference was held from October 27th to October 28th, in Indianapolis, Indiana. The conference hosted talks on cutting-edge technical issues and on social issues relevant to undergraduate and graduate women in computing. Creative social opportunities were available to meet faculty members, students, and area industry leaders. Leah Buechley is a designer, engineer, and educator whose work explores intersections and juxtapositions–of “high” and “low” technologies, new and ancient materials, and masculine and feminine making traditions. Her inventions include the LilyPad Arduino toolkit. From 2009-2014, she was a professor at the MIT Media Lab where she founded and directed the High-Low Tech group. 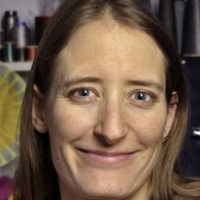 Her work has been exhibited internationally in venues including the Victoria and Albert Museum, the Arts Electronica Festival, and the Exploratorium, and has been featured in publications including The New York Times, Boston Globe, Popular Science, and Wired. Leah received a PhD in computer science from the University of Colorado at Boulder and a BA in physics from Skidmore College. At both institutions she also studied dance, theater, fine art, and design. InWIC invites proposals poster and lightning talks, related to your research, special projects, survival tips and solutions for unique challenges faced. The conference is open to people in industry and academic institutions from Indiana and surrounding states. The program is designed for undergraduate and graduate students in computing/technology disciplines.